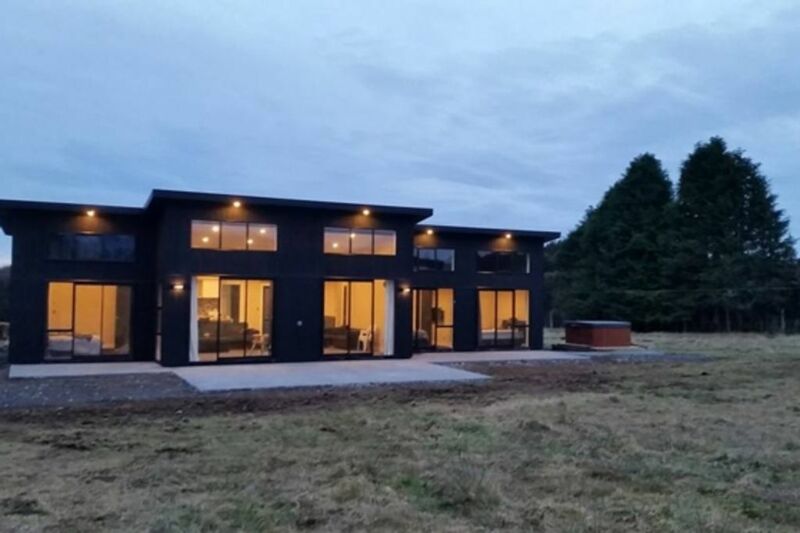 If you are looking to get away to the Ruapehu area in style then look no further. With a spa, drying room, sky tv, wifi, and a temperature controlled house, you couldn't ask for much more. It has 4 bedrooms and 4 bathrooms so is a great option for larger groups. 3 of the bedrooms have lofts in them, fantastic for older children who like their own space. The Master bedroom has a walk in wardrobe and esuite. Bedroom 3 also has its own Ensuite. Only 12 min drive to Ohakune, however you will feel worlds away at this beautiful serene spot. Being bang in the middle of Turoa and Whakapapa, you can choose on the day which side looks better and head up. It is 30 mins to Turoa carpark and 34 to Whakapapa. The property has been fitted with a METH ALARM which is remotely monitored. If this alarm is triggered Police will be sent out to the property upon activation. Your full group will be evicted from the premises immediately as well as face Police prosecution. This has been added for the protection of all our guests. Cleaning: Please note that we rely on the group before you to clean the property to a satisfactory standard. As different people have different cleaning standards it can be a hard issue for us to monitor. We do our upmost to ensure the house is in the best condition for you however we do need to rely on the group prior to you. We suggest if you are picky about this kind of thing, it is best to go with another property so you do not get let down on arrival. A beautiful home on a large property its quiet and cozy. If you ever want to get away I can totally recommend! Large home with plenty of space for a group. This lodge was perfect for our group of 20. Definitely captured the ideal big group getaway and catered to our needs. Waking up to snow filled majestic mountain bliss was breath-taking. The property line was big enough that we could self entertain with lots of games and sport. Can't forget to mention the flying fox, that you will thoroughly enjoy. Ohakune was only a short 15 min drive away. We were extremely happy and will not hesitate to stay here again. Reasonable clean and good condition. Quiet location. Great location with an amazing view of the mountain, close to Ohakune for shopping and dinner, plenty of room for groups and great for the kids also, I will definitely be back and would highly recommend this venue to anyone wanting to hit the slopes for a few days!